I go through cotton swabs like a a mole in a carrot patch. I use them daily for everything from getting the excess mascara off my lids to cleaning the corners of the bathroom vanity. There are endless ways these little cotton-y inventions can be used. As such, they need to be handy and accessible so I can grab them on the fly without having to bust open the box they came in. 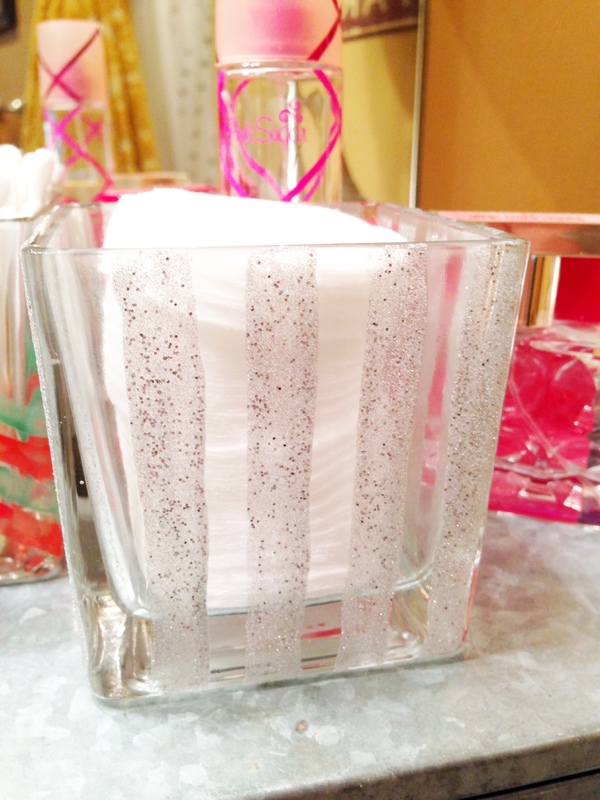 So, I came up with this simple way to store them in my bathroom for easy access. 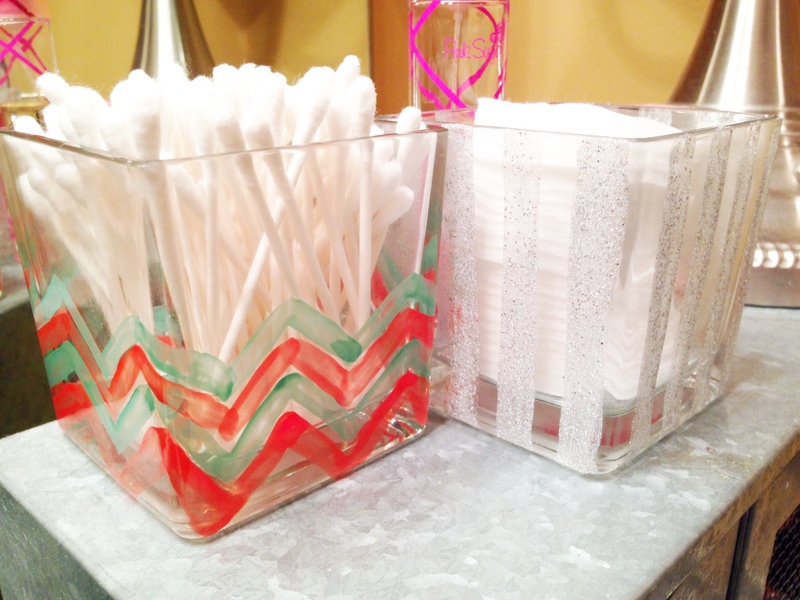 This is a super inexpensive solution for cotton swabs and cotton circles, and any other little useful items you might need storage for in your bathroom. 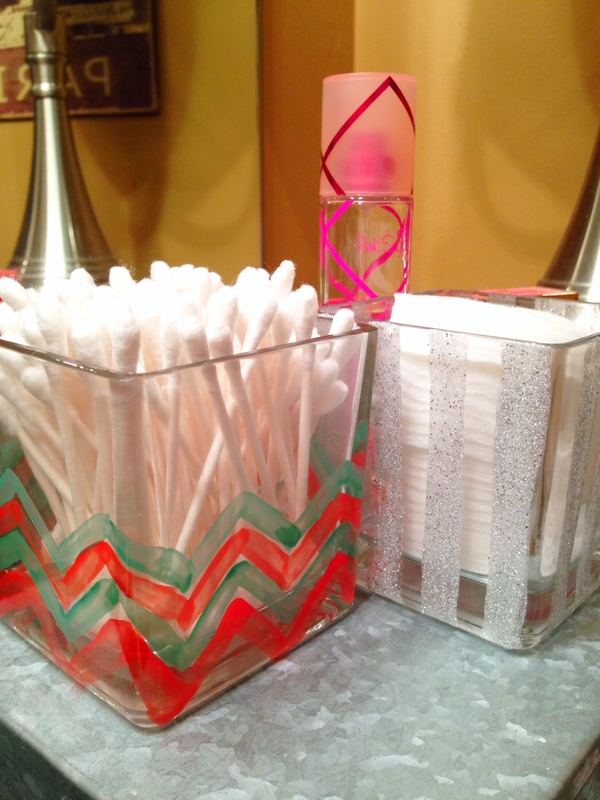 All I used was two small, square, glass vases from the Dollar Tree and some nail polish that I already had in my drawer. I determined the patterns I wanted to do for each container and got to painting. 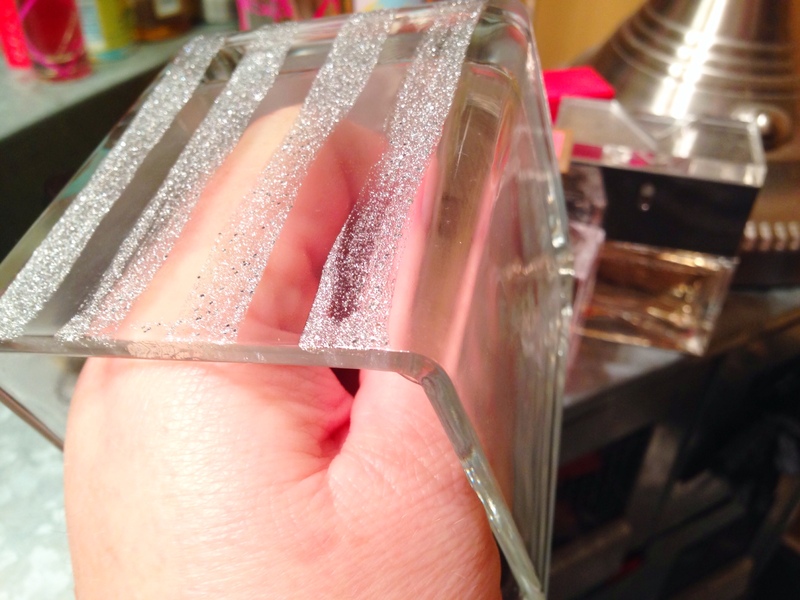 Be sure to shake the polish up really well before using so you don’t have any clumps, and it worked well for me to put my fist inside the container to stabilize it while I painted. It’s also a good idea to do this with a fan on since the fumes from the polish are quite potent. Once you’re finished painting, set near the fan to dry completely before using. 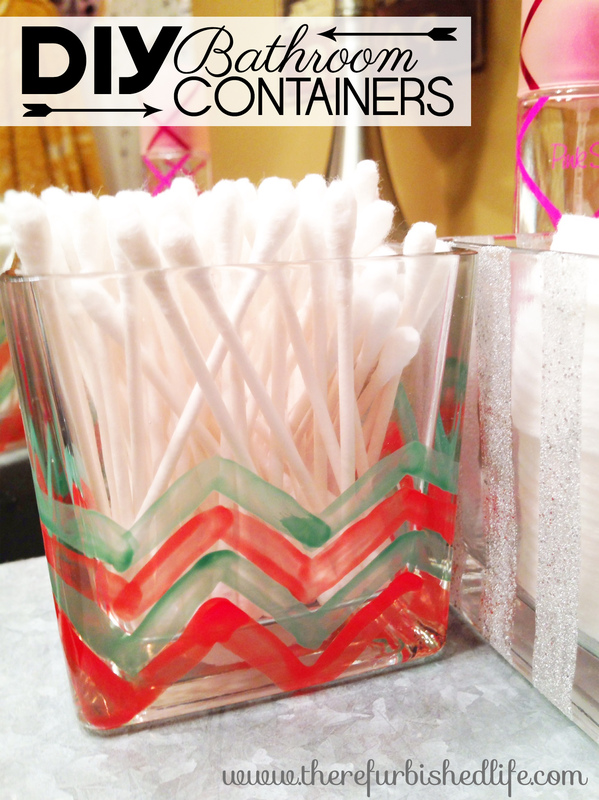 Once it’s dry, put your cotton swabs, cotton balls, cotton squares, and any other cotton-ish or similar item in the containers. Easy, practical and cute!